Sharing my postcards & stamps collection since 2009. These fuels my wanderlust and imagination -- bringing me to different places I probably won't be able to visit all in this single lifetime! 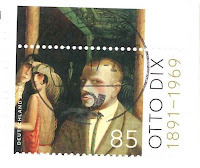 According to wiki, Otto Dix is considered as one of the most important artists of the New Objectivity movement in German art. 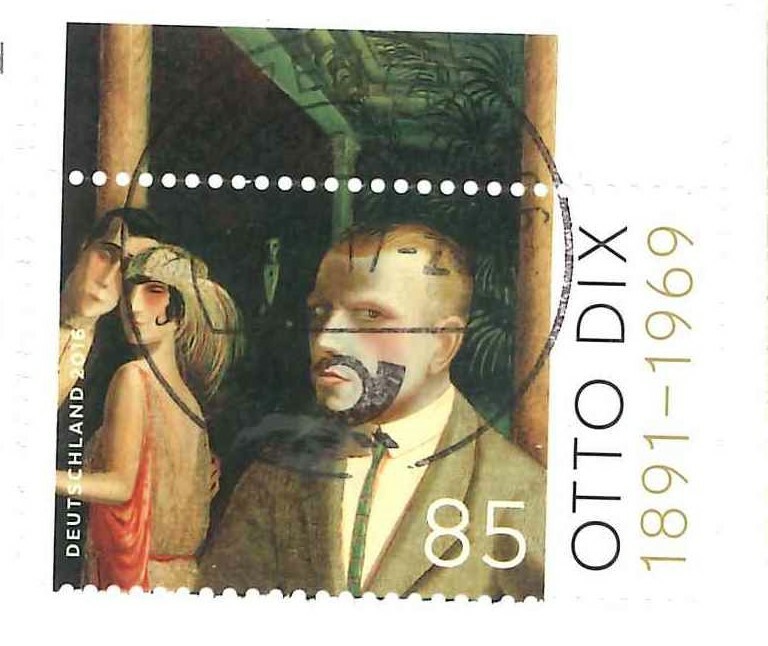 For his 125th birthday, the Deutsche Post issued this commemorative stamp. 2005 - Belize - Ecological and Heritage Sites is a network of 5 limestone caves with a river flowing through them. It's pretty interesting to read about cave tubing on this site. I've been to Taiwan twice but I've never had the chance to try their meatball or Ba Wan. I hope there could be a third time! 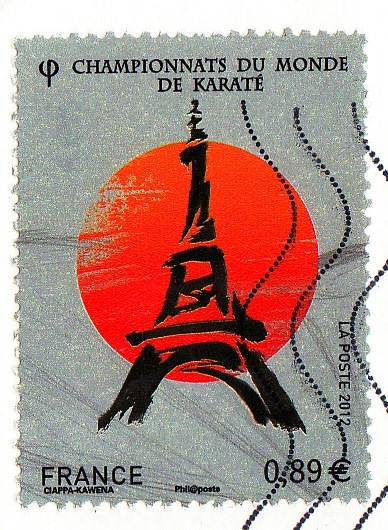 This stamp, together with 3 more, were released on 16 August 2013. The other stamps could be seen here. 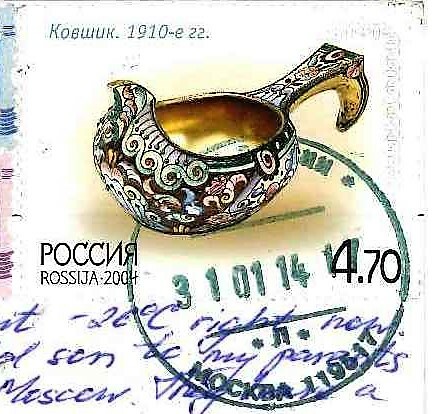 This stamp was issued on 26 October 2004, along with 3 other designs. All were from the All Russian Museum of Decorative, Applied, and Folk Arts. 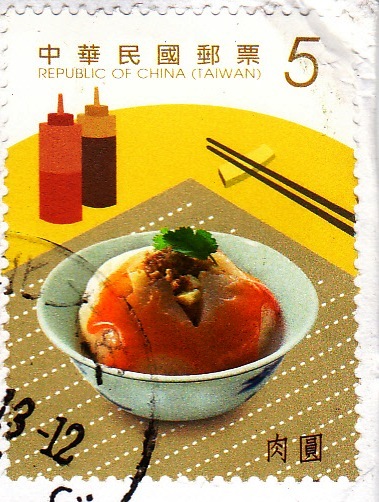 I came across a very informative post about the mini-series containing this stamp while researching about it. The post can be found here. Saves me some typing time (wink). I would say though that I love how the Eiffel Tower is depicted with brushstrokes here against a bright red sun. Simple yet beautiful fusion of French and Japanese icons.